One set of Modiano Old Trophy plastic playing cards, red/blue, poker size with 4 PIP index. 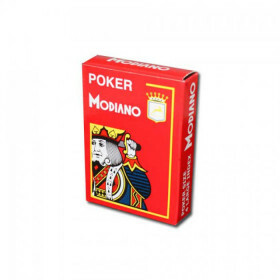 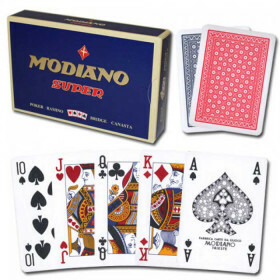 Modiano Italian plastic playing cards are some of the finest cards available in the world. 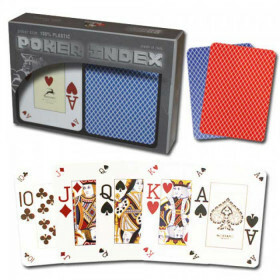 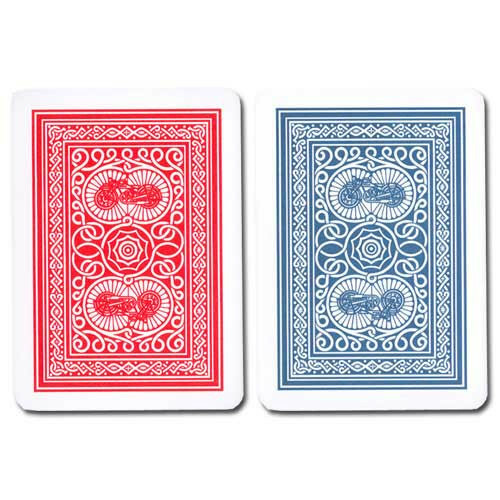 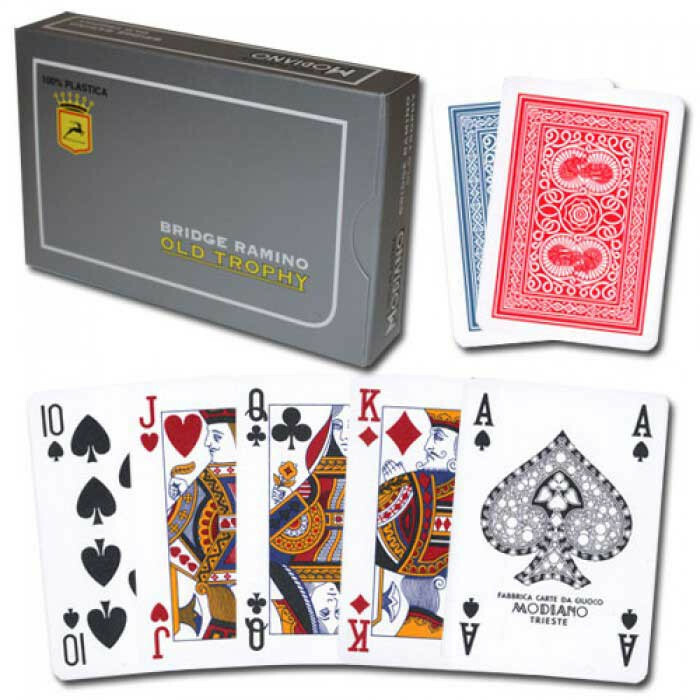 These cards are extremely durable, and will outlast regular playing cards by up to 100 times! 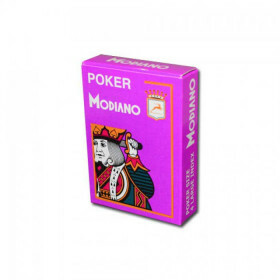 Modiano cards are 100% plastic, which means they are washable, crimp and fade resistant, and waterproof. 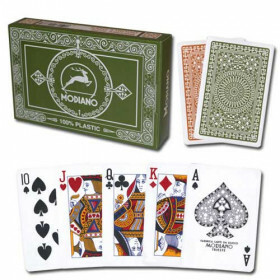 This set of Modiano Old Trophy playing cards includes 2 decks of poker size (2.5" x 3.5") playing cards with a 4 PIP index, and includes a protective plastic case.